Are vendors only encroachers of Delhi’s footpaths? “Gareeb ki koi nahi sunta" (no one listens to the poor)—this famous line from Hindi films of the 1980s was the cry of the exploited poor against the rich and powerful. Dramatic as it may seem, this refrain is all too common in the real world too. I am talking about the street vendors of Delhi. Beginning September 10, Delhi traffic police will launch an encroachment removal campaign cracking down on hawkers who have encroached on footpaths. Lieutenant Governor Najeeb Jung recently asked all encroachments on Delhi's footpaths to be removed. While this order must be applauded as encroachments force people to walk on the main carriageway, making them more vulnerable to road accidents, the order does not take into account illegally parked cars and two-wheelers and badly designed infrastructure like street lights. Who is a street vendor? A street vendor is a person who sells goods of daily usage, often through moveable stalls or thelas. 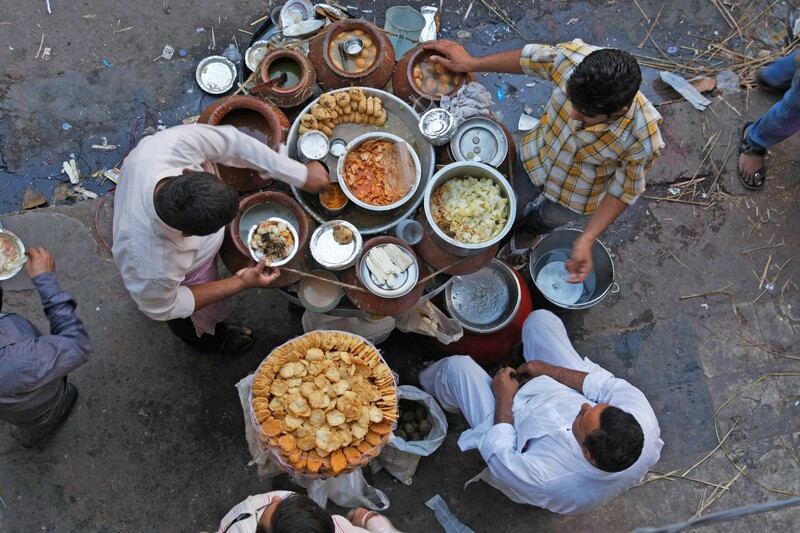 Street vending as a profession has been in existence in India since the olden days. However their numbers have increased manifold in the recent years. This could be because of migration of people from rural areas to urban metropolises. One study estimates that Mumbai has the largest number of street vendors (around 250,000), while Delhi has around 200,000. Kolkata has more than 150,000 street vendors and Ahmedabad has around 100,000. In cities, many of these vendors are women. Some studies state street vendors constitute approximately two per cent of the total population of a metropolis. Urban vending not only provides employment to the poor but also gives "affordable" services to a majority of the urban population. But they are considered as unlawful entities and are subjected to continuous harassment by civic authorities. In 2014, Government of India passed the Street Vendors (Protection of Livelihood and Regulation of Street Vending) Act to protect the rights of urban street vendors and regulate street vending activities. It ensures that civic authorities allot designated spaces to existing street vendors up to 2.5 per cent of the population of the ward or zone or town or city. Delhi's PWD minister, Satyender Jain, has assured that his government’s road improvement policy would encourage hawkers on footpaths for a lively atmosphere and to provide a sense of security to pedestrians, especially women. But Delhi traffic police has been entrusted with the task of removing hawkers from footpaths. Delhi is currently facing a huge problem of vehicular ownership. At present, according to Delhi Statistical Handbook of 2014, the city has around 8.2 million registered vehicles. The removal of illegally parked vehicles should be on top of the priority list for the authorities. It is clear that street vendors have to be allotted a designated space along urban streets as they have been guaranteed a space by the Government of India. Delhi-based Centre for Science and Environment (CSE) recently did a detailed study on redesigning of the Alaknanda Road in South Delhi. The design provides a dedicated MUZ (Multi Utility Zone) for such activities.